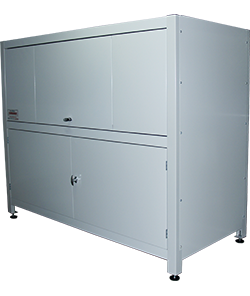 The ideal solution to garage storage problems in apartments & houses! 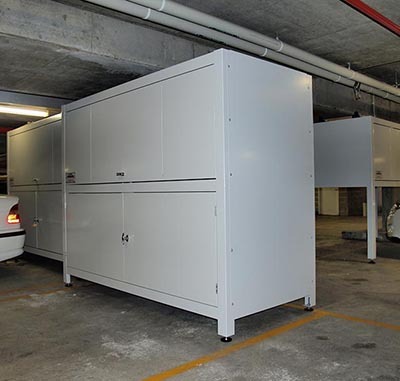 Our range of Over Car Bonnet and Double Decker garage storage cabinets are perfect for the basement car parks of apartment buildings. 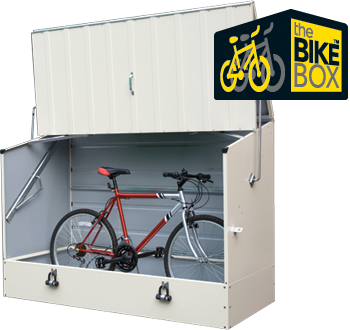 As a complete garage storage system, Space Commander™ has a model for every apartment storage situation, including the BikeBox™ – a unique storage cabinet that can accommodate up to 3 bikes conveniently and securely, indoors or outdoors. 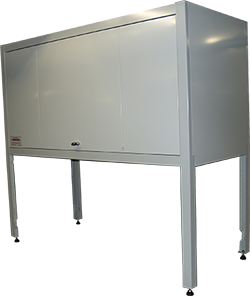 If you are looking for a Strata and Body Corporate approved basement storage box or above bonnet storage locker for your apartment car space then look no further than Space Commander™ – the apartment storage experts! Whether you are looking for 1 Over Bonnet storage unit or 100 Double Deckers, call Space Commander™ now on 1800 006 090! 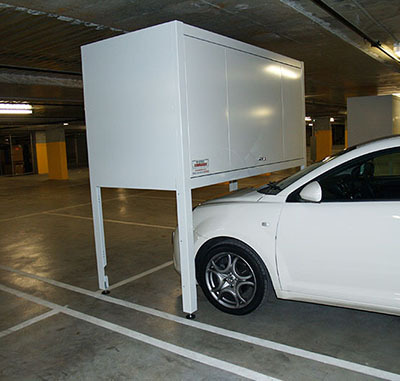 By using the wasted space that sits over the bonnet of your car you can create up to 3.2 cubic metres of storage space in your basement car space or garage. The bicycle storage problem has been solved! 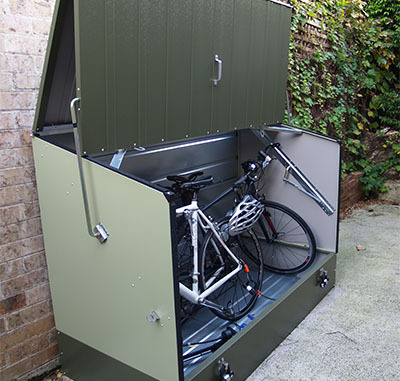 The BikeBox™ is an innovative, practical and secure bike storage cabinet that accommodates up to 3 bikes. The stylish, secure and practical storage for contemporary back yards in Australia’s big cities – courtyards, terraces, decks, gardens or pool surrounds. 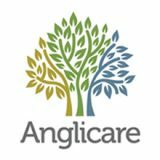 The market leading product range – often copied, never matched. Experience and Expertise in the garage storage market. We can help with strata and body corporate approval at your building. 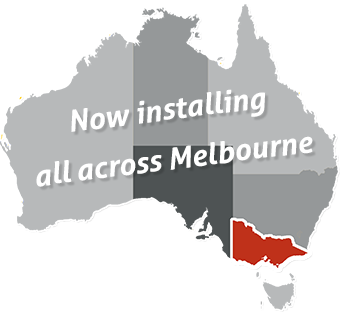 We do all the work – our price is inclusive of GST, delivery and on site installation. 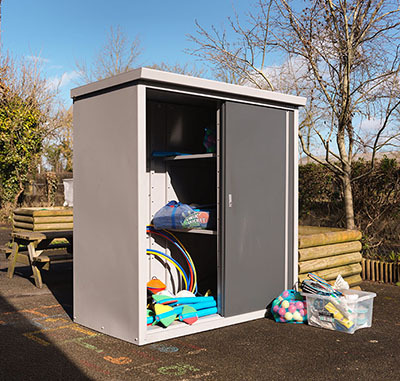 One size does not fill all – we have a range of standard sizes that are designed to maximise storage space creation. 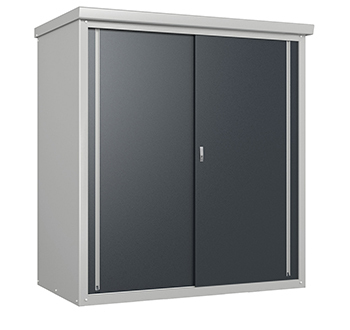 The in-built security, strength, good looks and storage space that we are famous for! Our products are approved by Building Managers and Strata Managers. Space Commander™ has a model for every apartment storage situation. The ideal solution to the garage storage problem in apartments and houses!